Famous landmarks often evoke the spirit of a city more than anything else: The Eiffel Tower, the Space Needle, the Empire State Building. One type of landmark closely associated with many of the world’s great cities are famous bridges. Think Golden Gate Bridge and San Francisco. The Brooklyn Bridge. Pont Neuf in Paris. London Bridge and Lake Havasu City, Arizona. Well, maybe not that last one so much, but you get the idea. 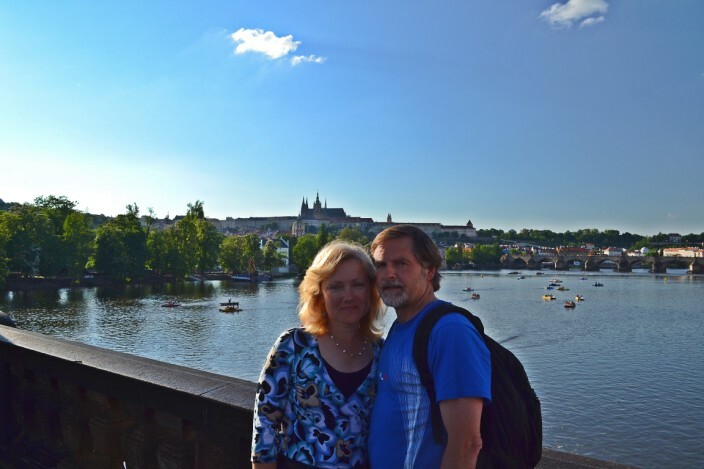 The Charles Bridge in Prague, Czech Republic, certainly qualifies as one of the world’s most recognizable bridges, and one which symbolizes and typifies the city in which it dwells. 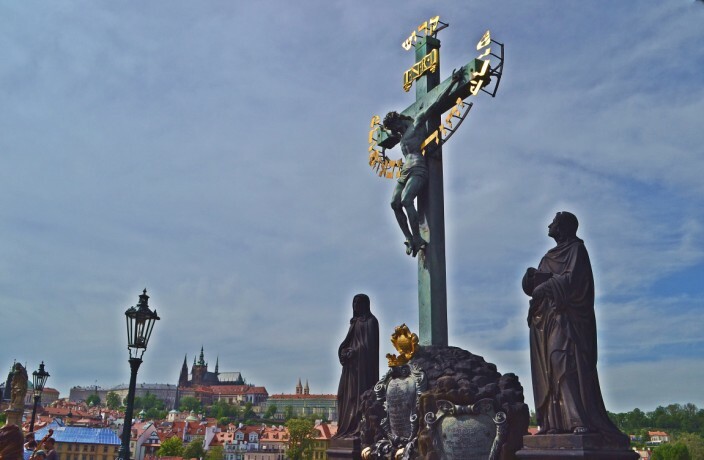 No visit to Prague would be complete without at least one crossing (and re-crossing) of this ancient stone marvel. 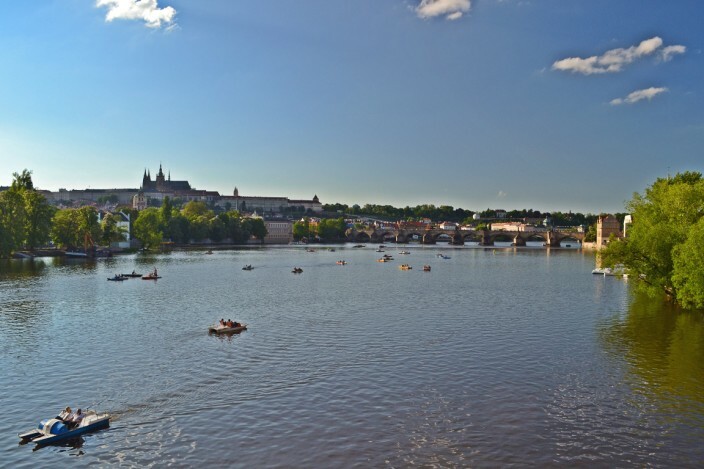 While the Vltava River divides the city of Prague, the Charles Bridge (or Karluv Most, in Czech) spans that divide and unites the Old Town of the eastern side to the Castle District of the western half. 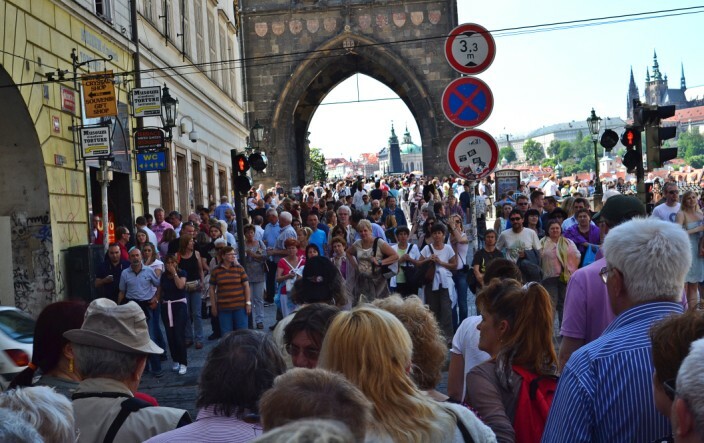 Charles Bridge is historic, it’s romantic, it’s incredibly picturesque, and yes, it’s massively crowded unless you come very early or after midnight. During the day teeming swarms of humanity threaten to engulf you as you attempt to cross it’s length. It’s full of tourists, sketch artists, vendors, buskers, beggars, clowns, and more. You could stand in one spot for ten minutes and hear more languages spoken in passing than probably anywhere except the U.N. So the obvious question is who the heck was Charles and why did they name a bridge after him? I mean, if he’s famous, why not christen a building or maybe even a city for him? 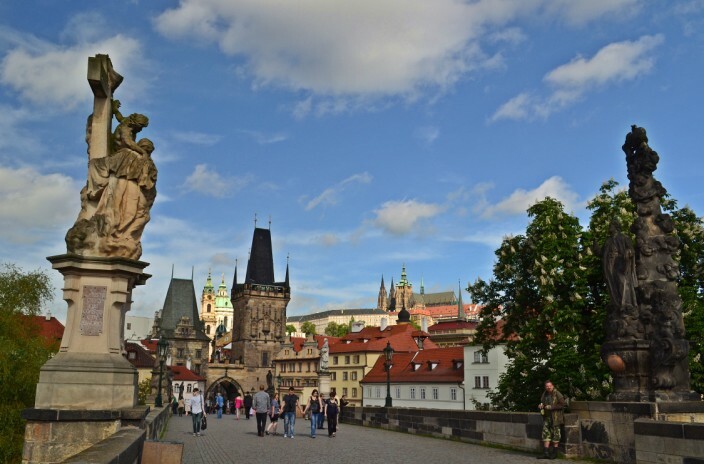 Turns out the dude in question was Charles IV, Holy Roman Emperor and King of Bohemia, and the man who ordered construction of the bridge which now bears his name, beginning in 1357. Charles was apparently a big believer in numerology, and according to legend laid the first stone in place himself at exactly 5:31 a.m. on 9 July, 1357. This formed a numerical bridge – 1357, 9, 7, 5:31 – that was supposed to give the terrestrial bridge extra strength. The bridge wasn’t finished until the early years of the next century, by which time old King Chuck was long gone. But either Charles’ numerology thing really worked or the builders must have done a bang-up job, because the bridge still stands today despite numerous floods, wars and battles, and other disasters over the centuries. 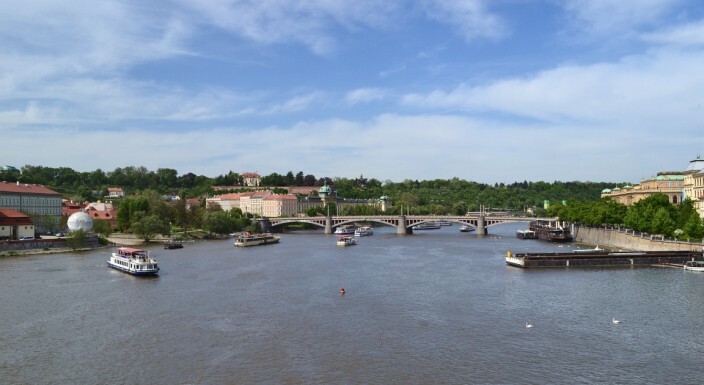 At the time of its construction, the bridge was the only span across the Vltava and greatly enhanced the city’s burgeoning status as top trade center of Europe. 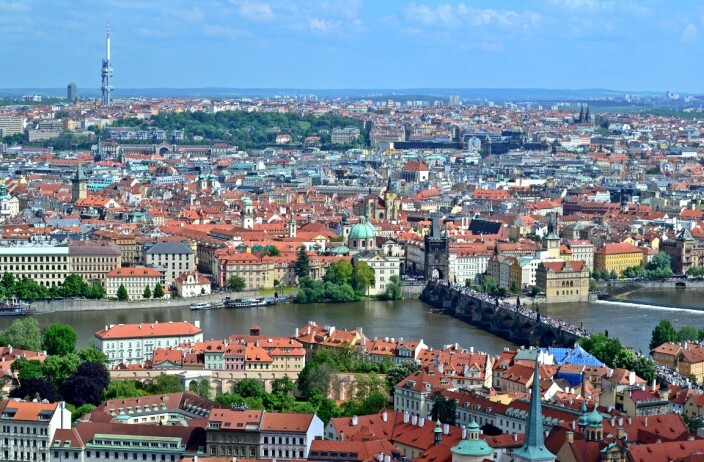 In fact it was King Charles who installed Prague as not only his capital but as capital of the Holy Roman Empire. The bridge spans 621 meters in length (around 2000 feet) and is 10 meters wide (over 30 feet). It consists of sixteen stone arches shielded by ice guards at the water level. The bridge saw it’s fair share of battles and is protected on the castle side by two towers and one on the Old Town side. Many of the stone pillars on which the bridge rests were damaged and undermined by water erosion and flood damage over the years, and most of them have been replaced at least once. 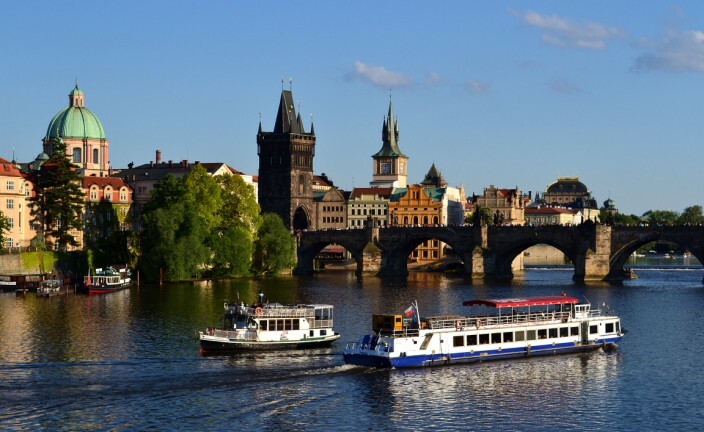 Although Prague now boasts a dozen bridges across the Vltava, for many centuries Charles Bridge carried the bulk of both commercial and personal traffic crossing the river. 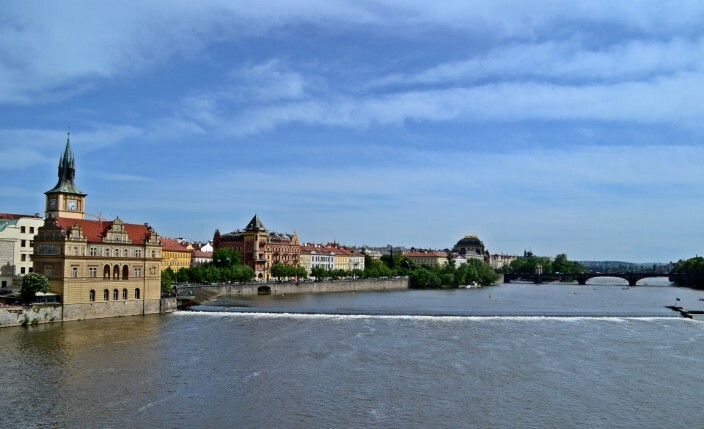 Even as late as mid-20th century there were still vehicles shuttling over it’s span between the two sides of Prague. 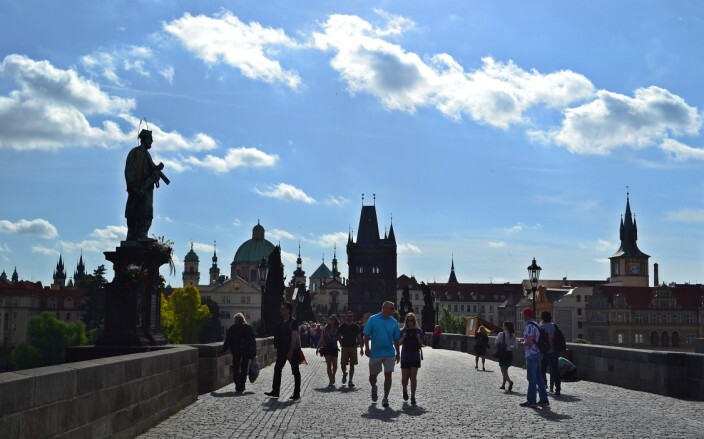 But after extensive repairs were undertaken in the 1960’s and 70’s, Charles Bridge has been a pedestrian-only affair since 1978. Between the years 1683 and 1714, a gallery of almost thirty statues was installed along the length of the bridge, most of them depicting saints and religious events. 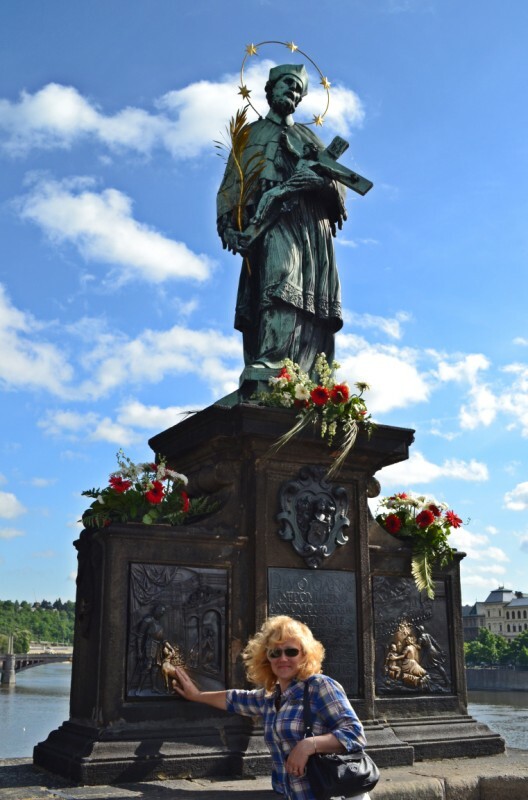 And today they still adorn both sides of Charles Bridge, with one important caveat, unsuspected by the vast majority of people who cross the bridge every day and take their photos beneath them. Every one of the statues standing today is a replica. All of the originals at some point either fell into the river, were torn down or simply deteriorated to where they needed to be replaced. So when you go up to the statue of St. John of Nepomuk and put your hands on the shiny spot where everyone else does for good luck, just realize it’s not the original. If that matters to you. 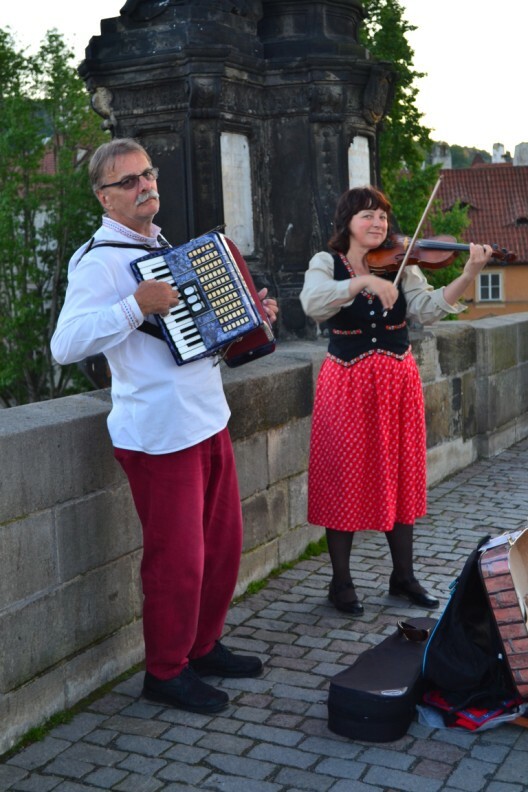 But the best thing of all about Charles Bridge, like so many iconic things when traveling, is to simply go and experience it for yourself. 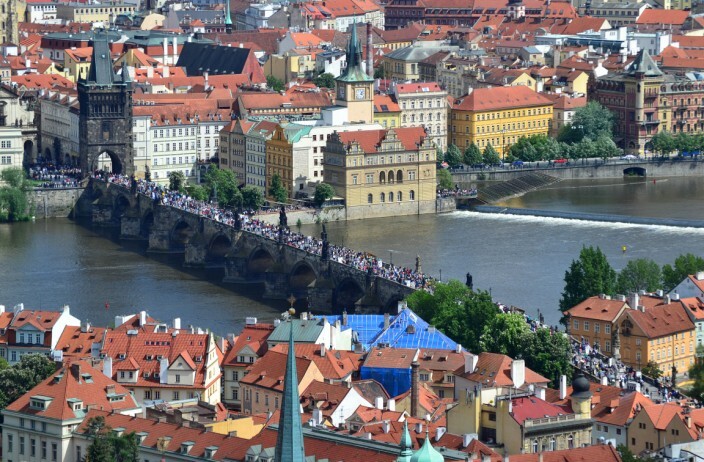 It really is a gas to get swept along with the tide of people crossing, or to stand aside for a while, peer over the side and watch the incessant boat traffic chugging up and down the Vltava, to gaze out at the massive Prague castle crowning the hill in the distance. Just breathe the air and soak it all in and know you’re in a magical city on a fairy-tale bridge steeped in history and living your travel dreams. It doesn’t get any better than that. HI Agness, nice to hear from you. We’re glad we made it to Prague too. Definitely a city we’d return to one day. We had four days and feel like we only saw the highlights.